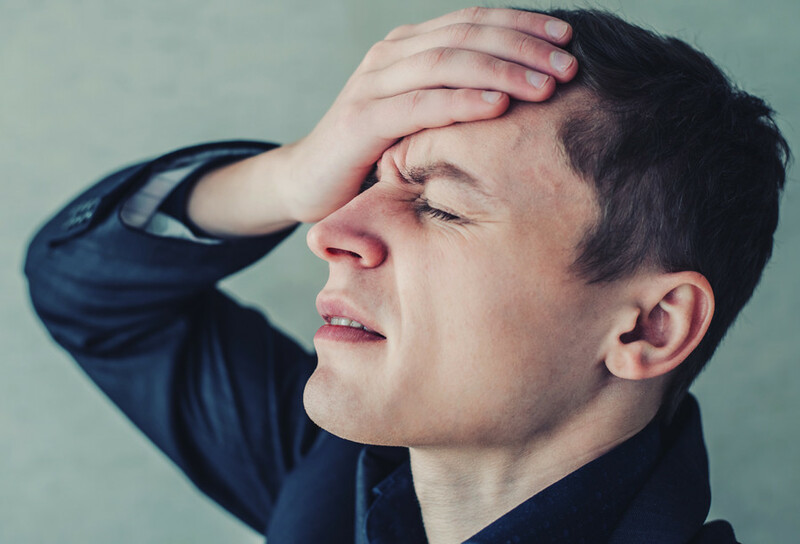 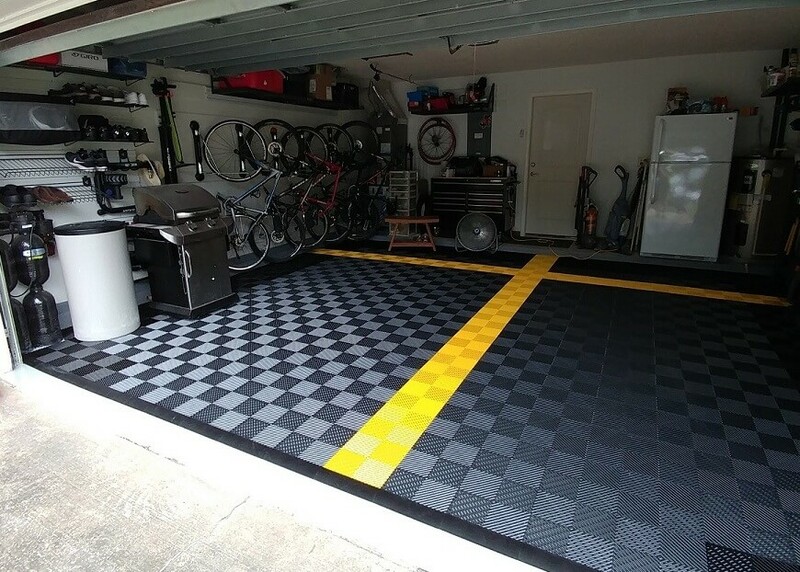 If I had a dollar for every time someone mistakenly typed in rubber garage flooring, I would be a rich man. 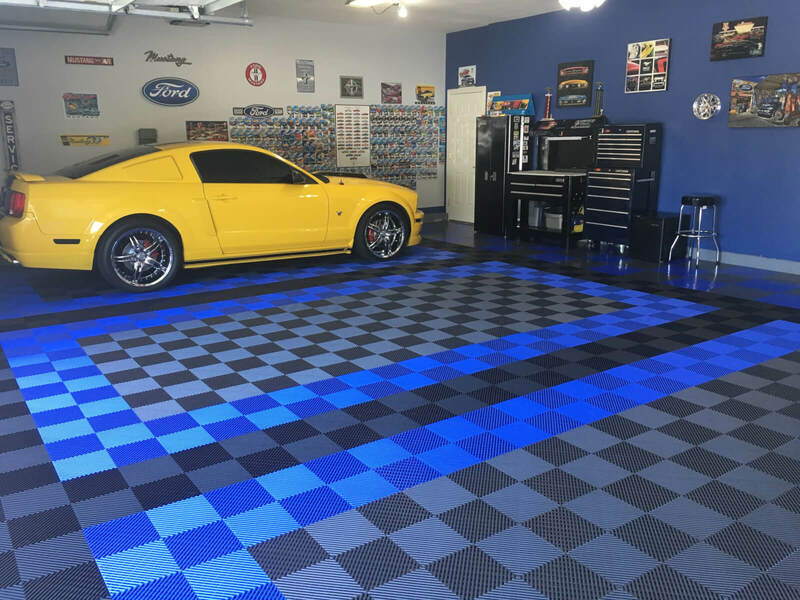 Usually what they were looking for is Vinyl Garage Flooring. 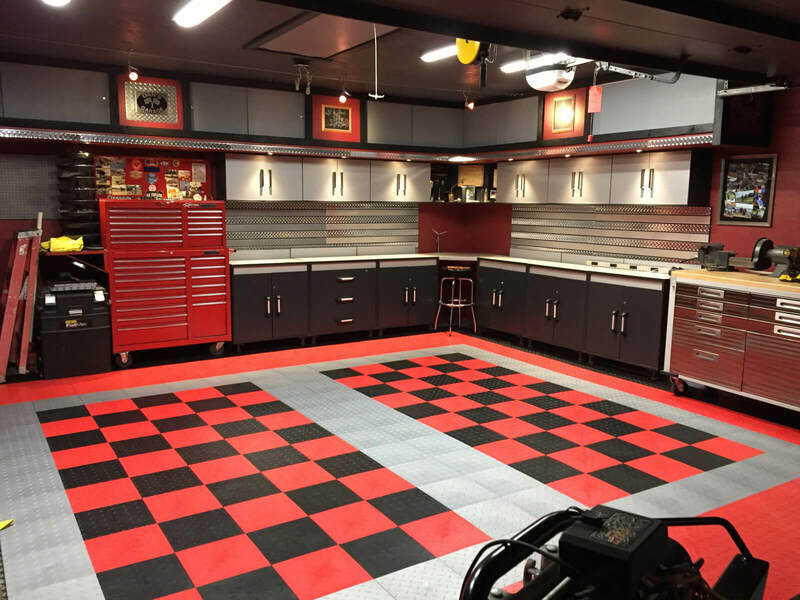 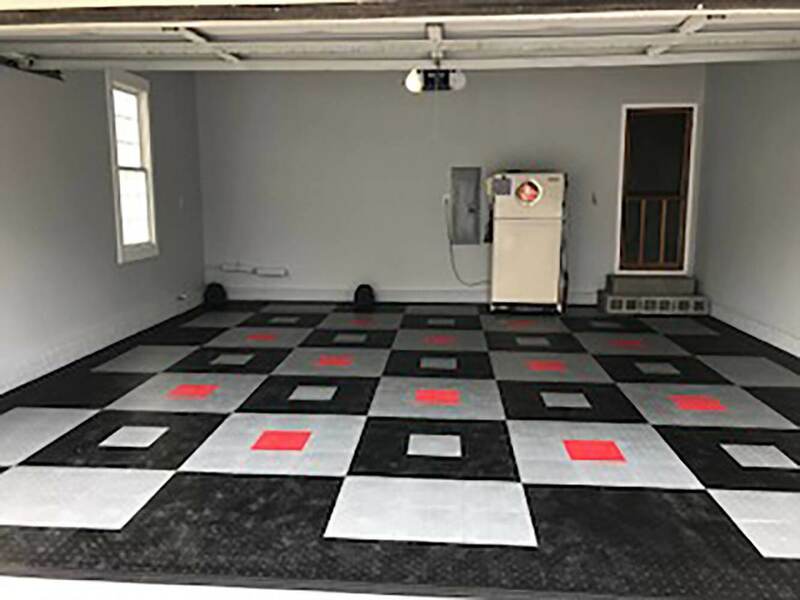 BLT G-Floor invented the roll out vinyl garage flooring market over a decade ago. 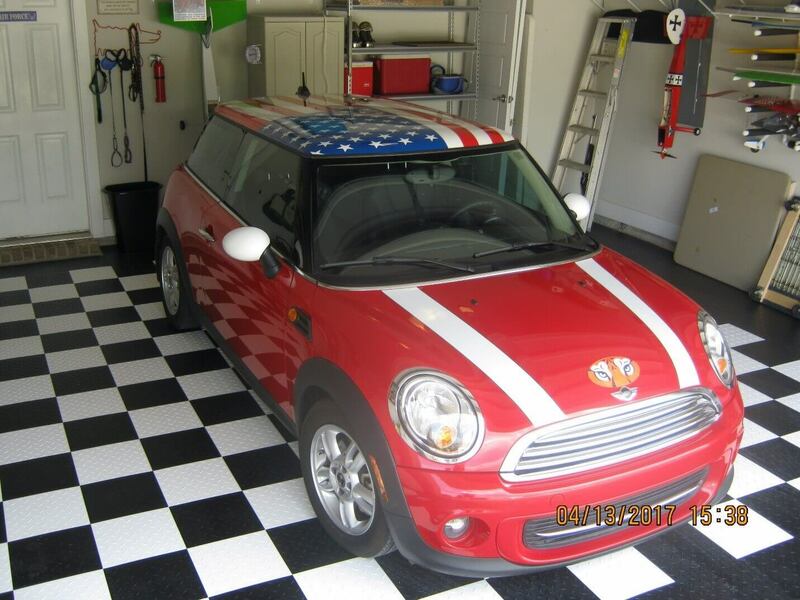 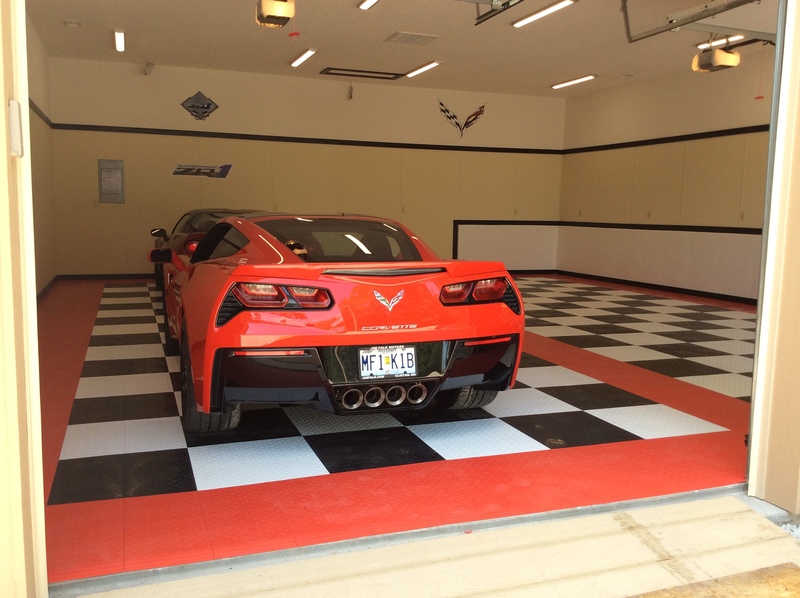 They continue to outsell and outperform the competition with their American made vinyl garage flooring. 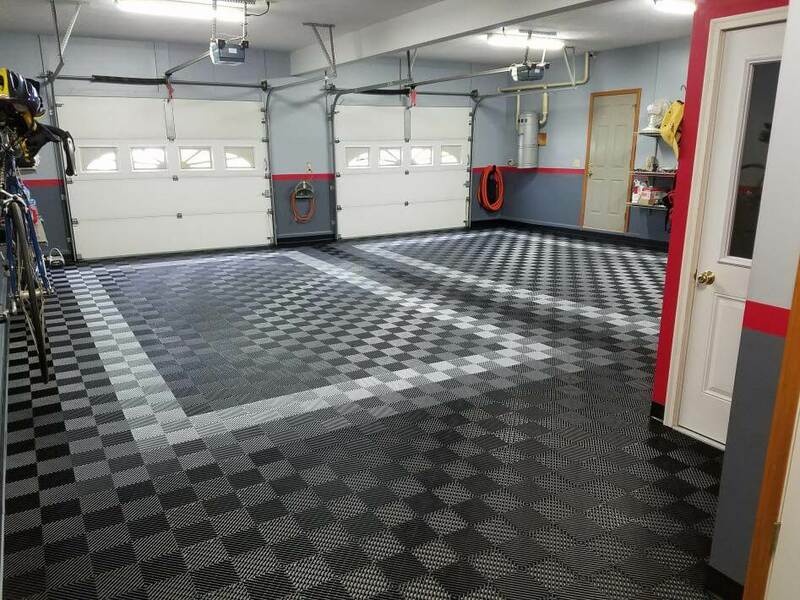 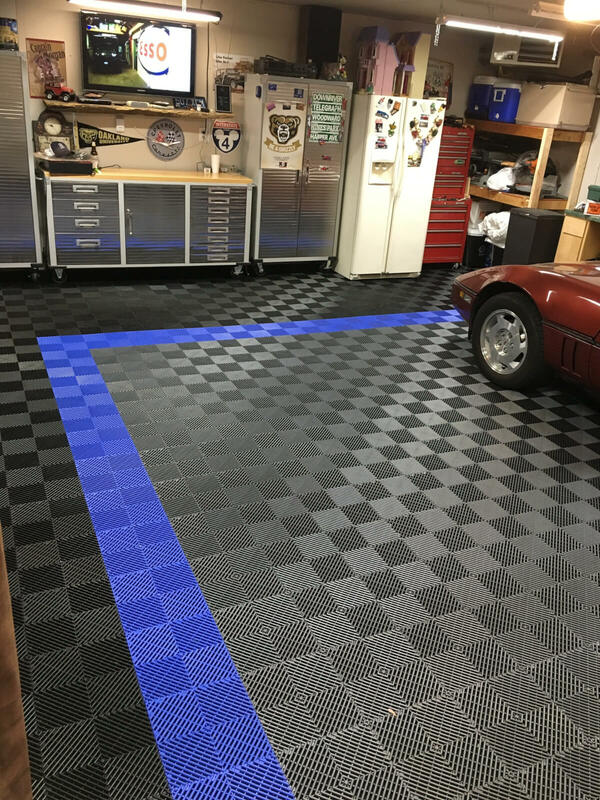 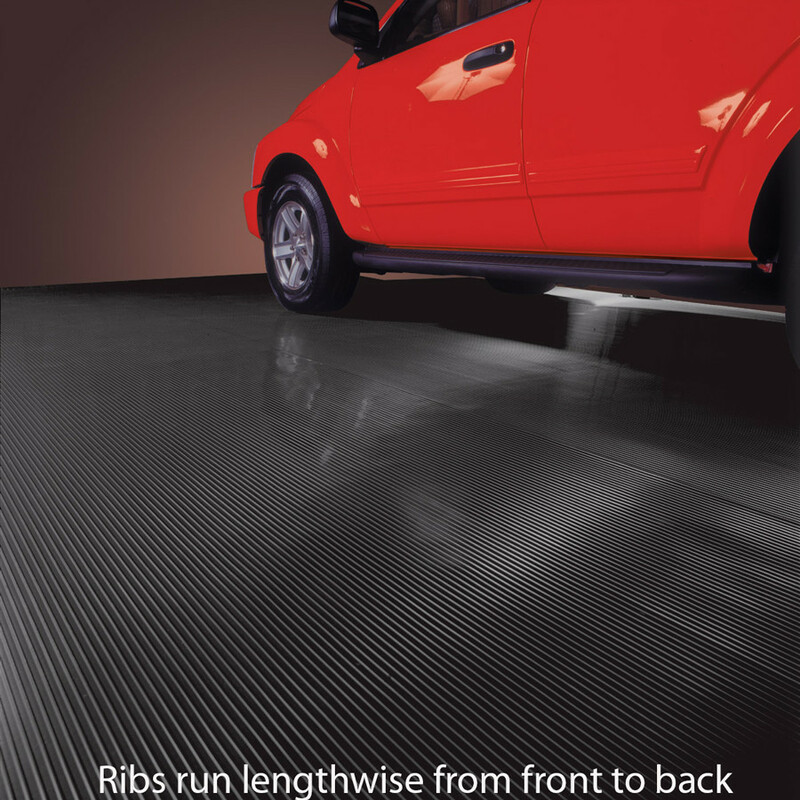 Vinyl garage flooring is made from a flexible PVC. 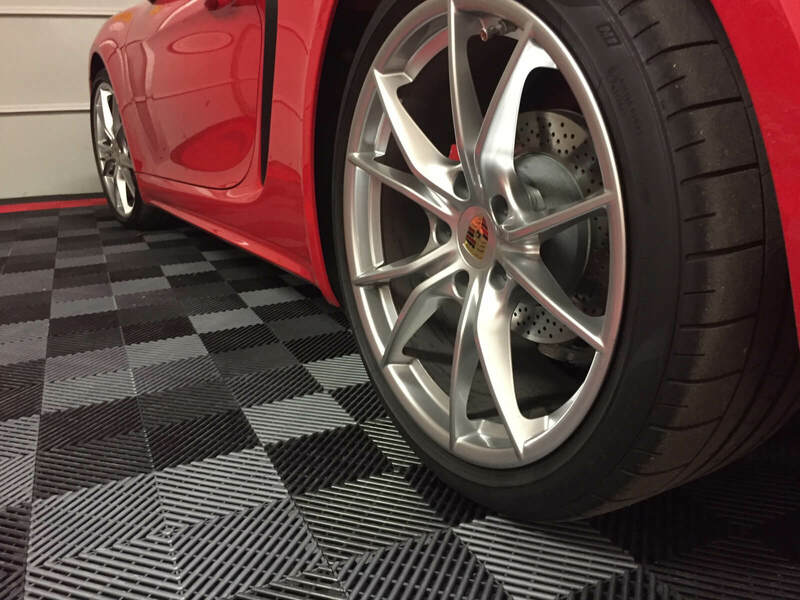 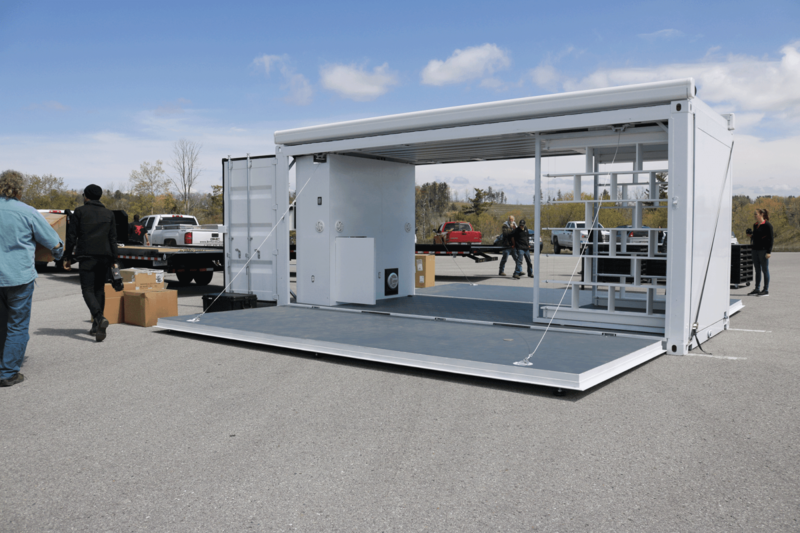 It is well suited for driving on and workshop conditions. 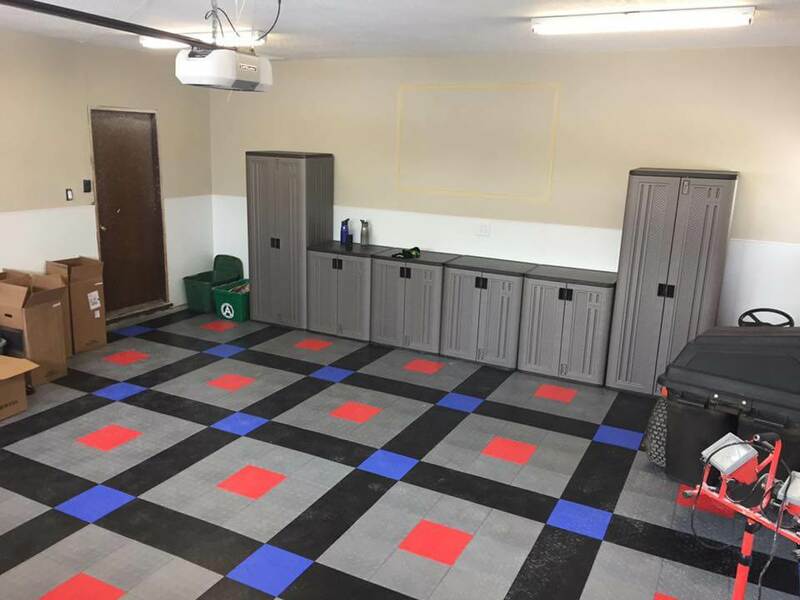 Rubber flooring on the other hand in very popular for home gyms, fitness centers and carpet tile is now being used in large office buildings. 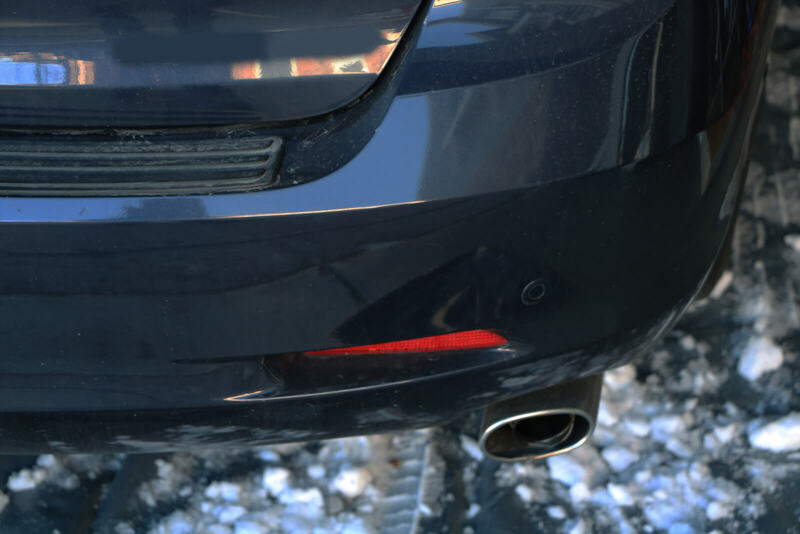 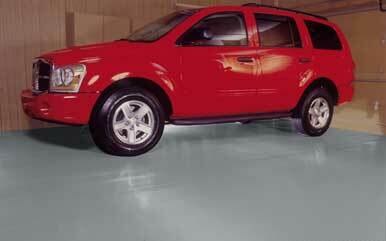 Rubber flooring, however, will not generally tolerate vehicular traffic very well. 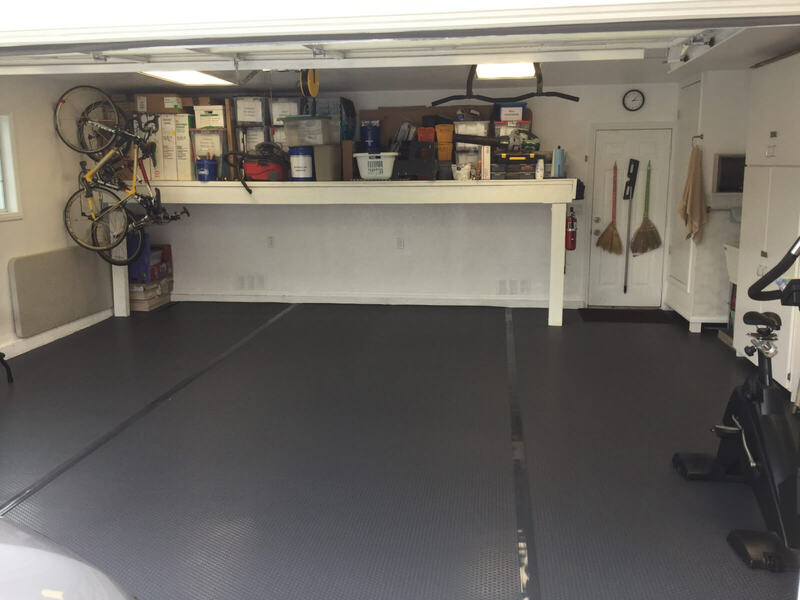 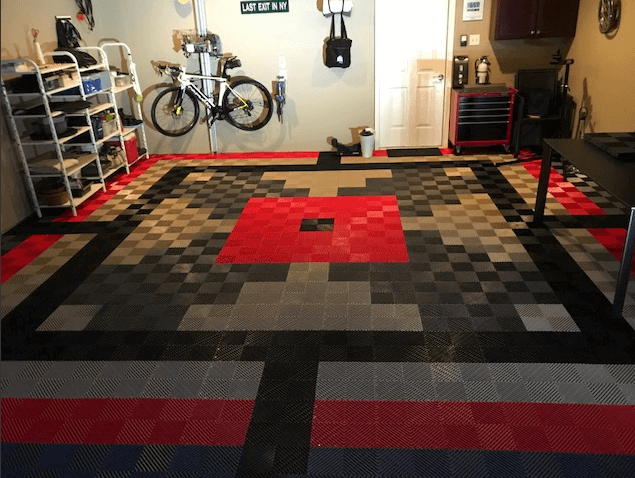 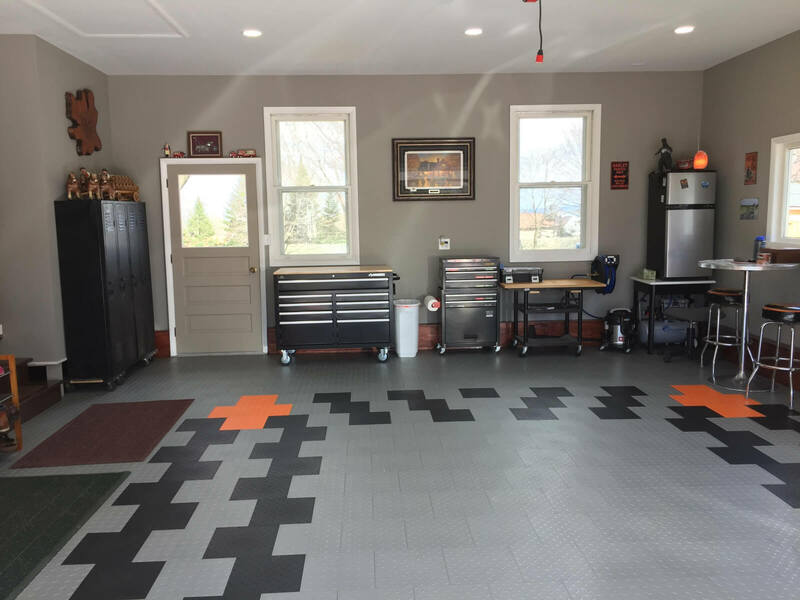 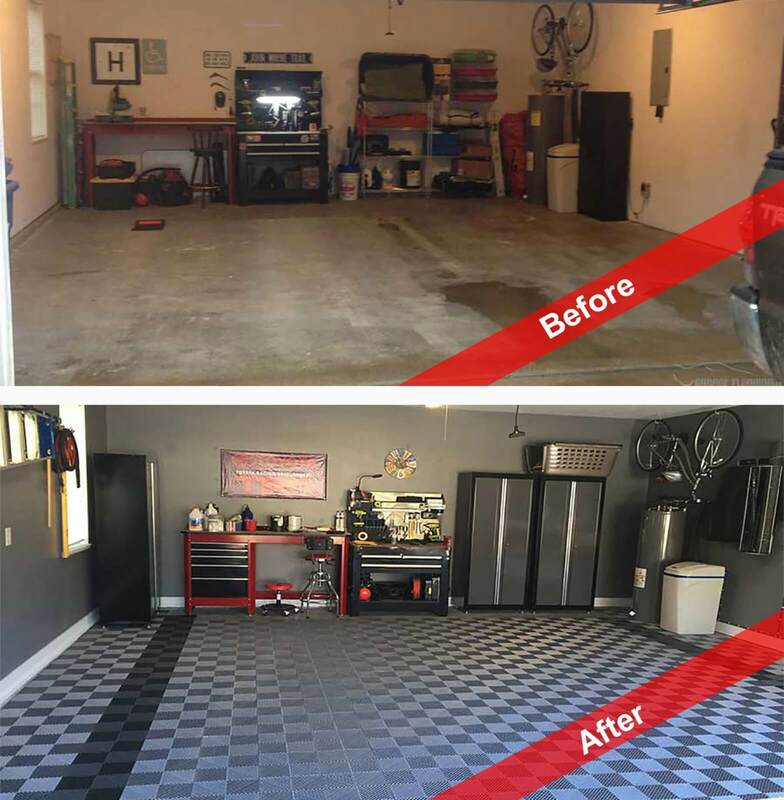 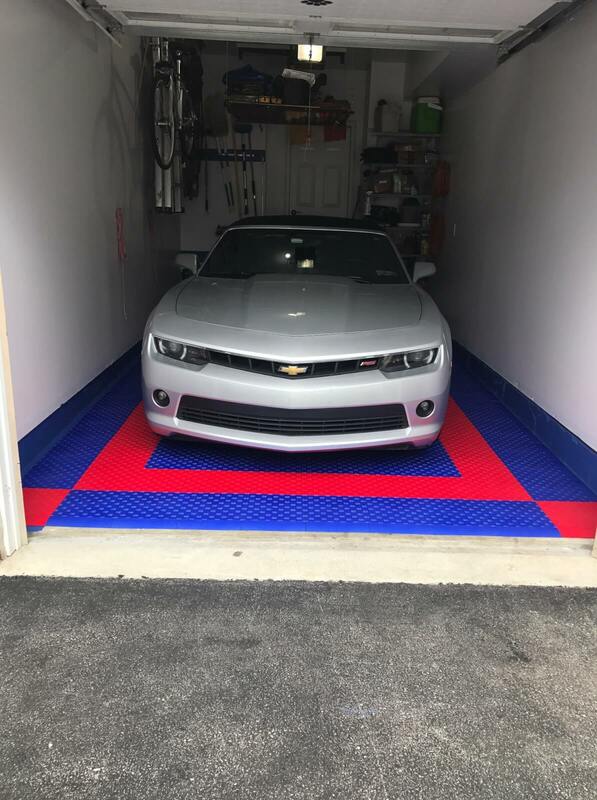 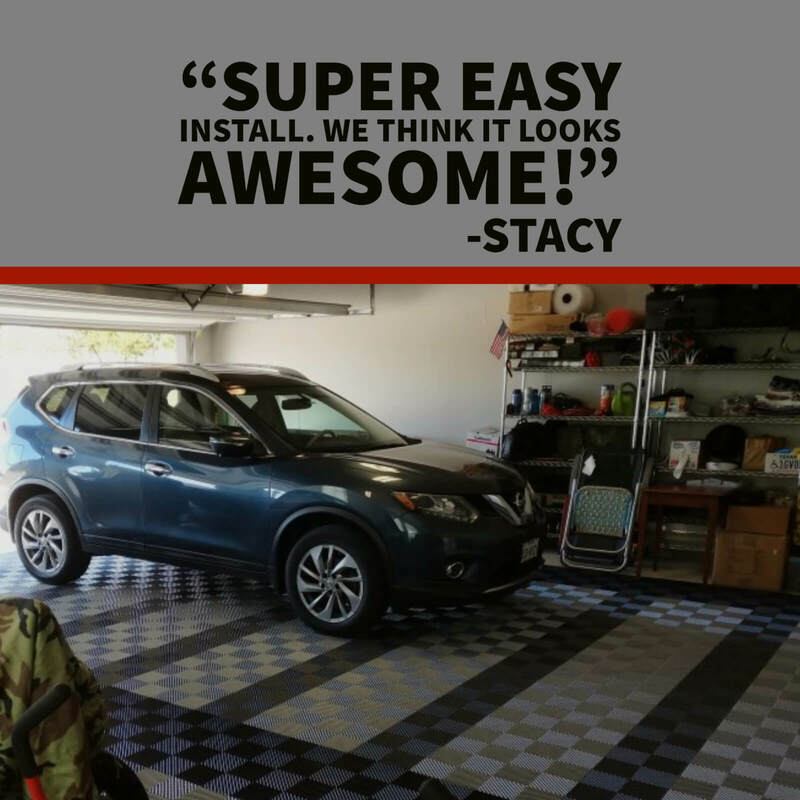 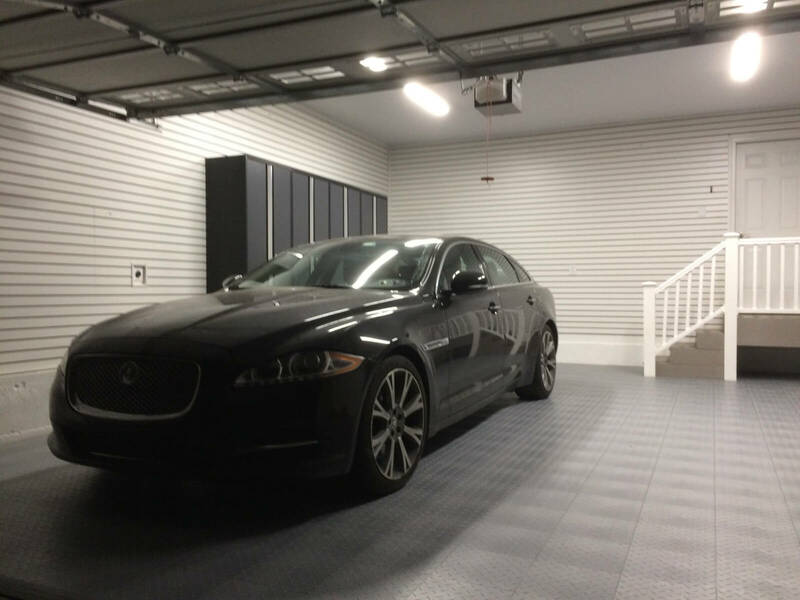 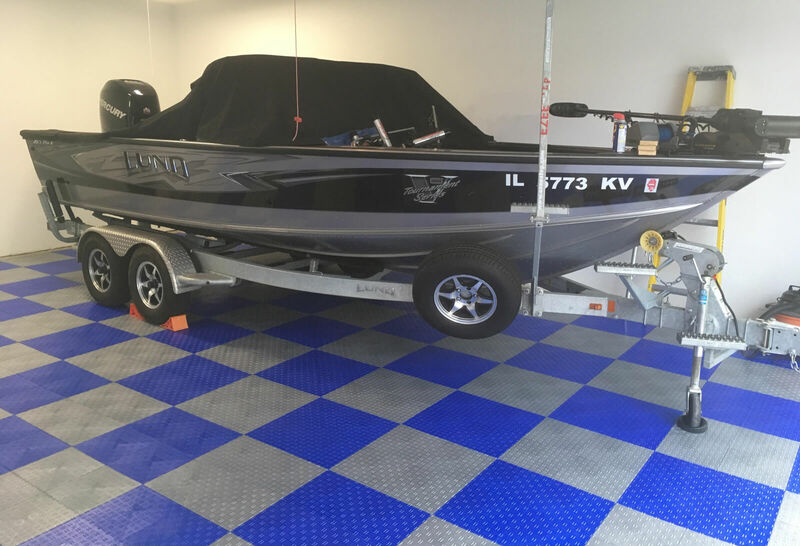 Rubber flooring is not a good choice for garage flooring unless you are using the garage as a recreation room or workout area. 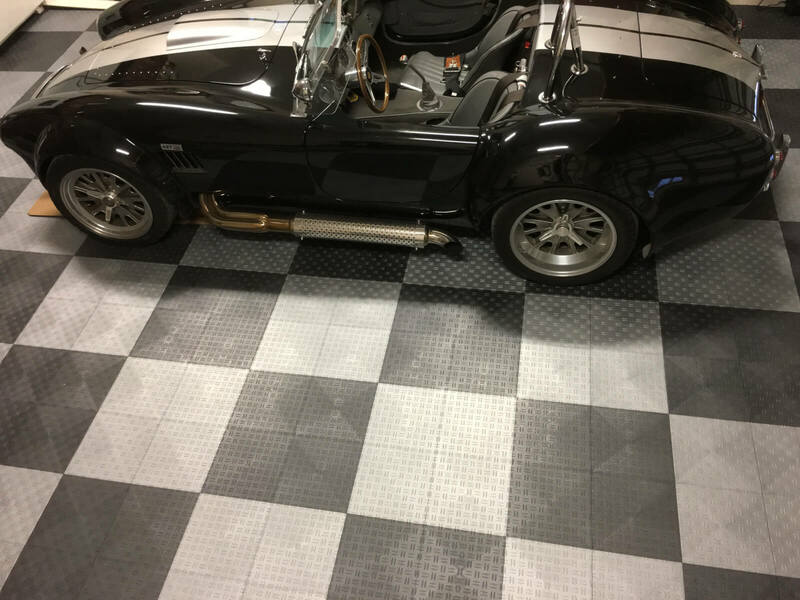 Vinyl garage flooring as available in rolls as well as tiles. 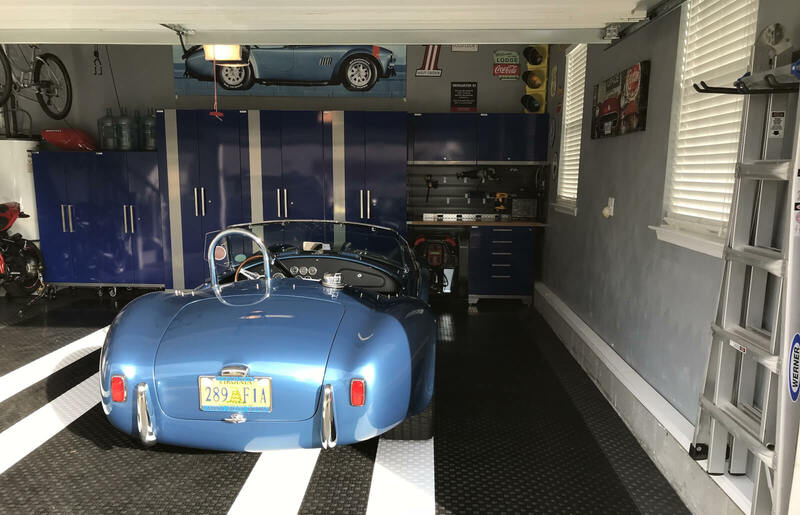 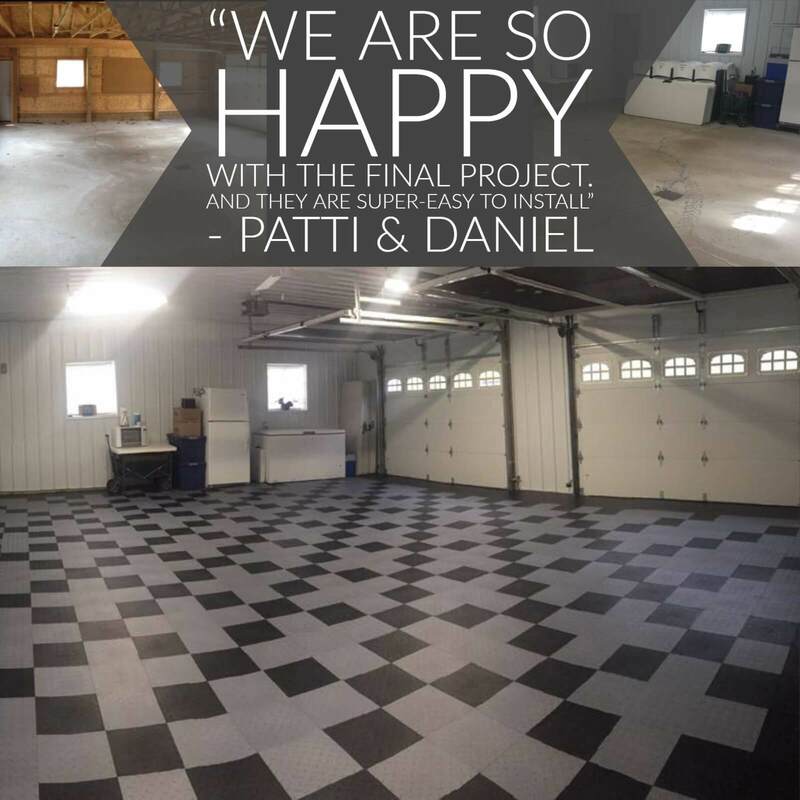 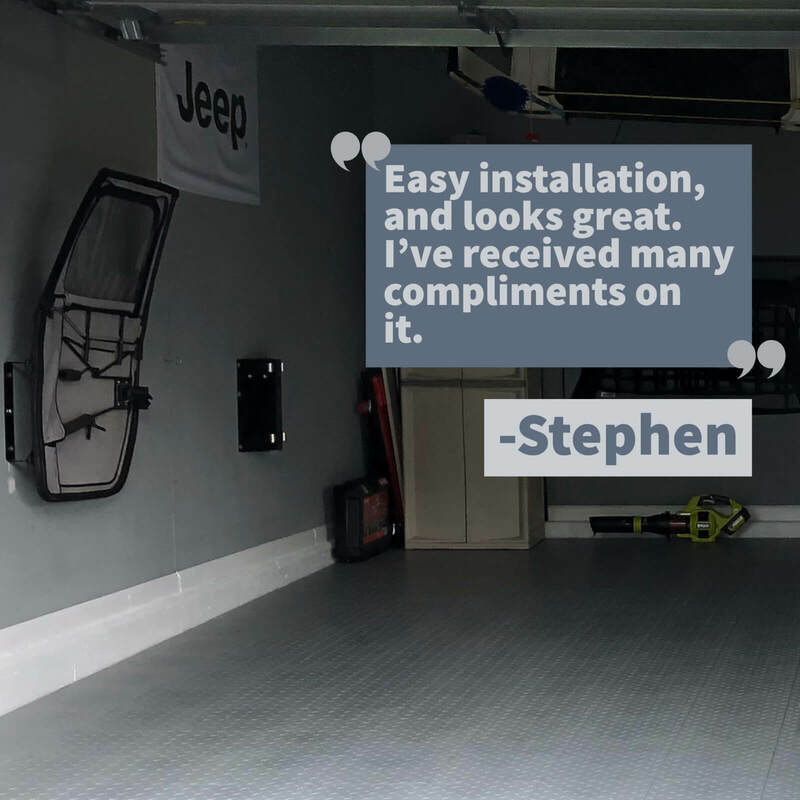 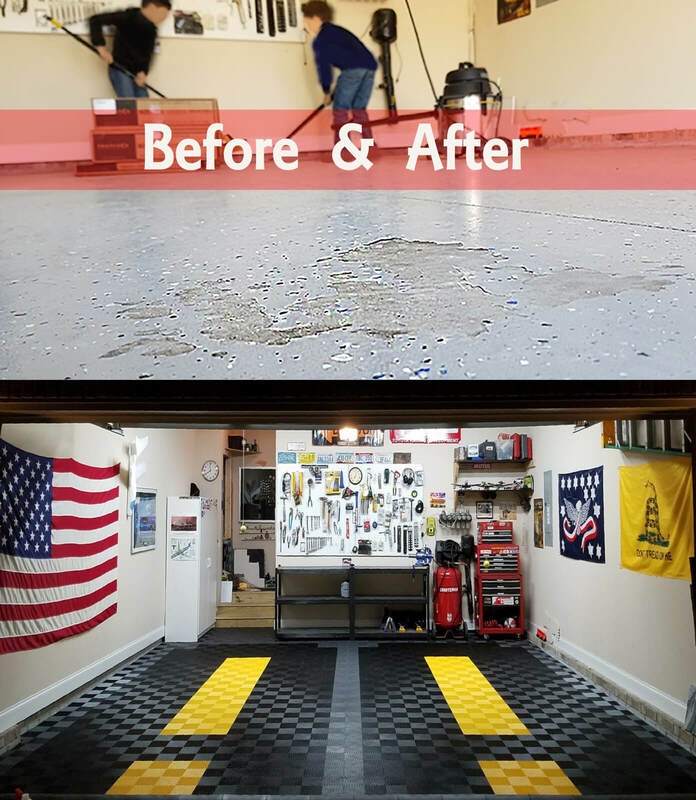 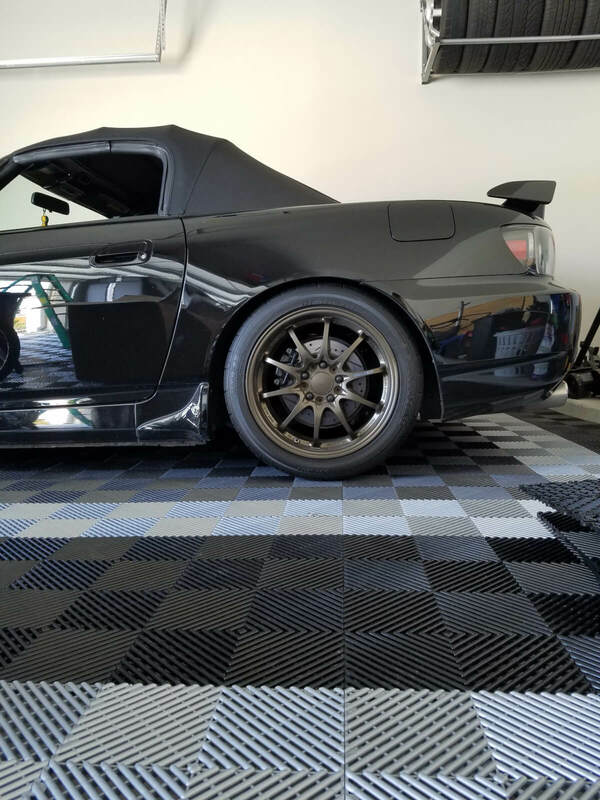 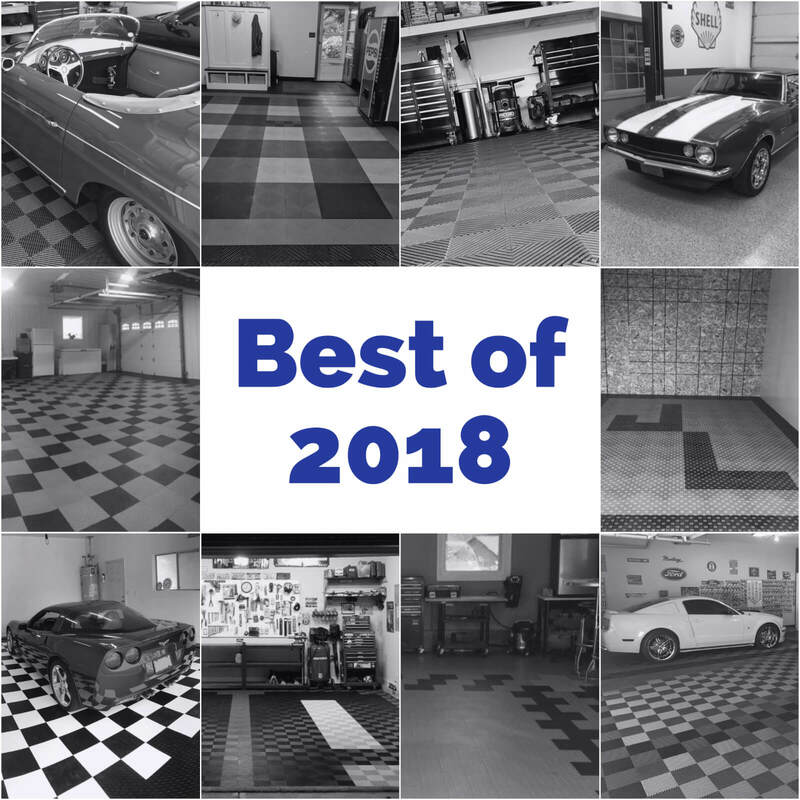 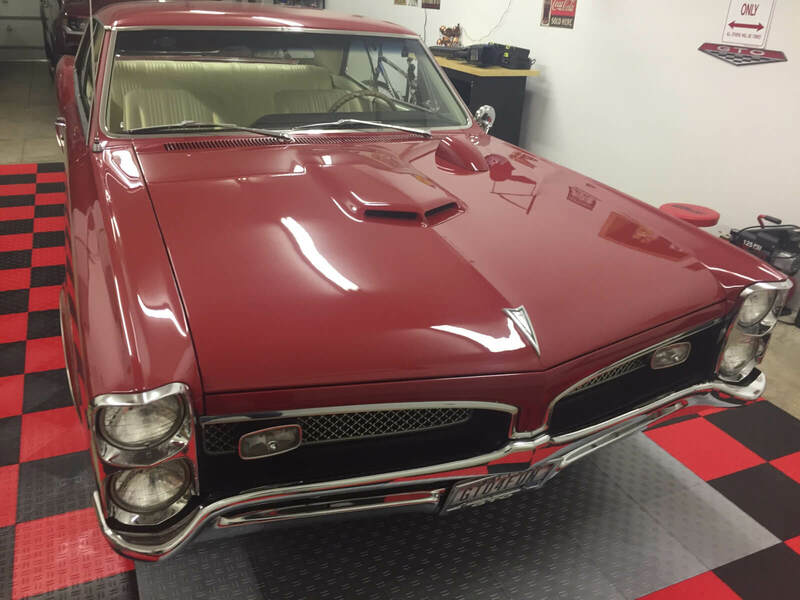 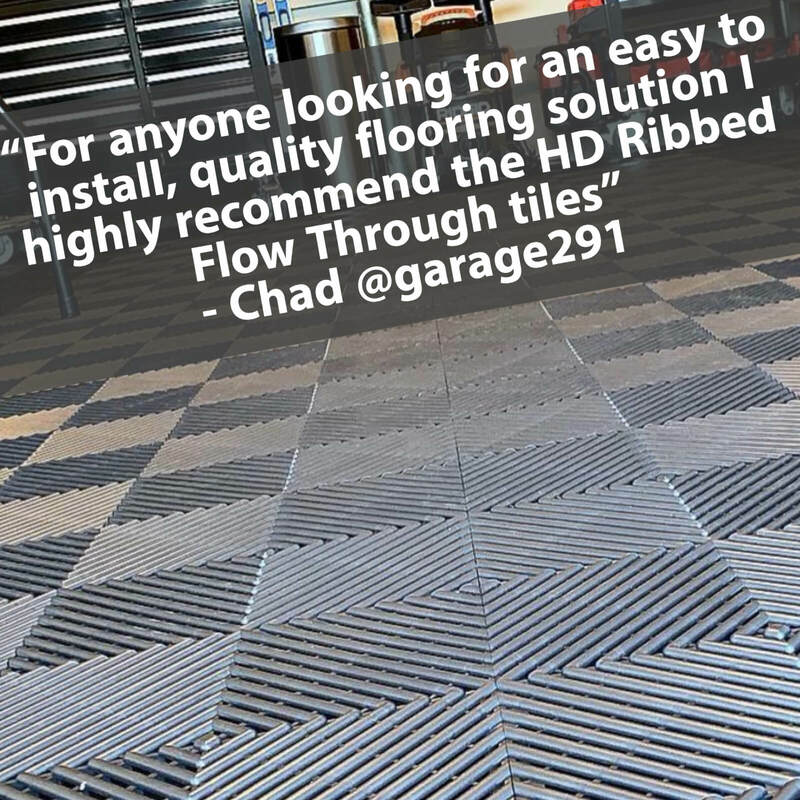 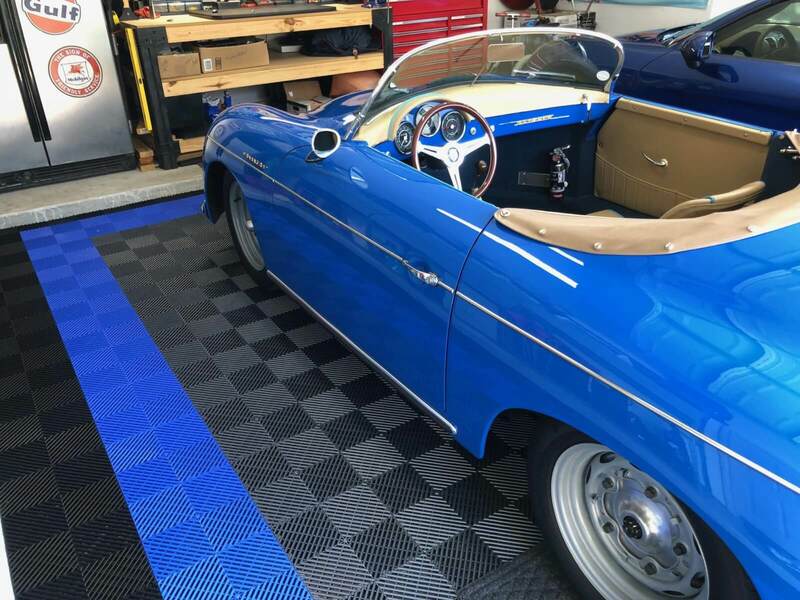 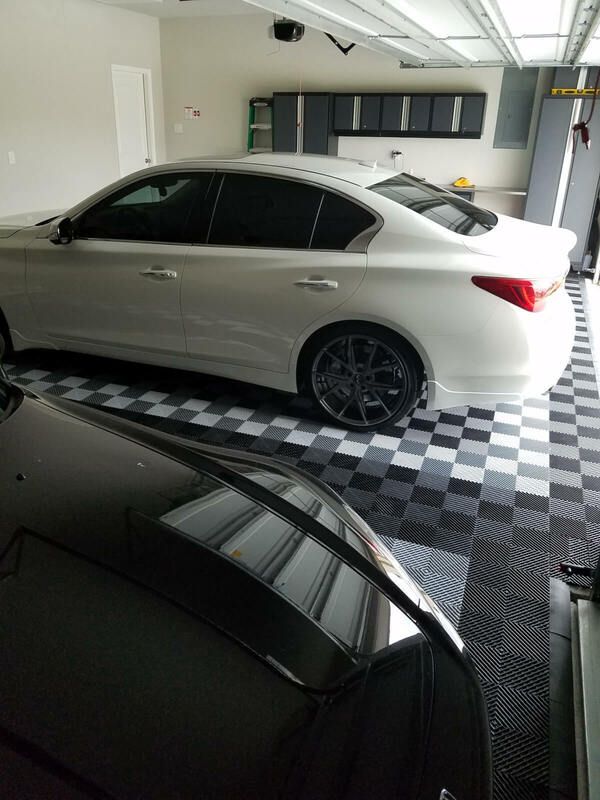 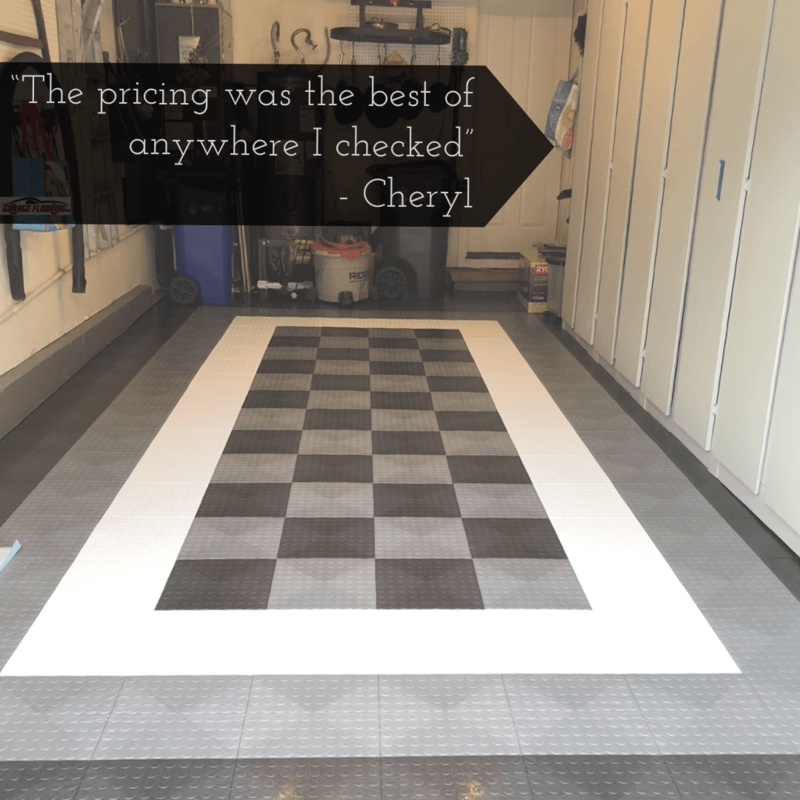 While there are now many people making the product, we prefer the G-Floor American Made garage flooring because it is made in the USA, stored flat and has stood the test of time. 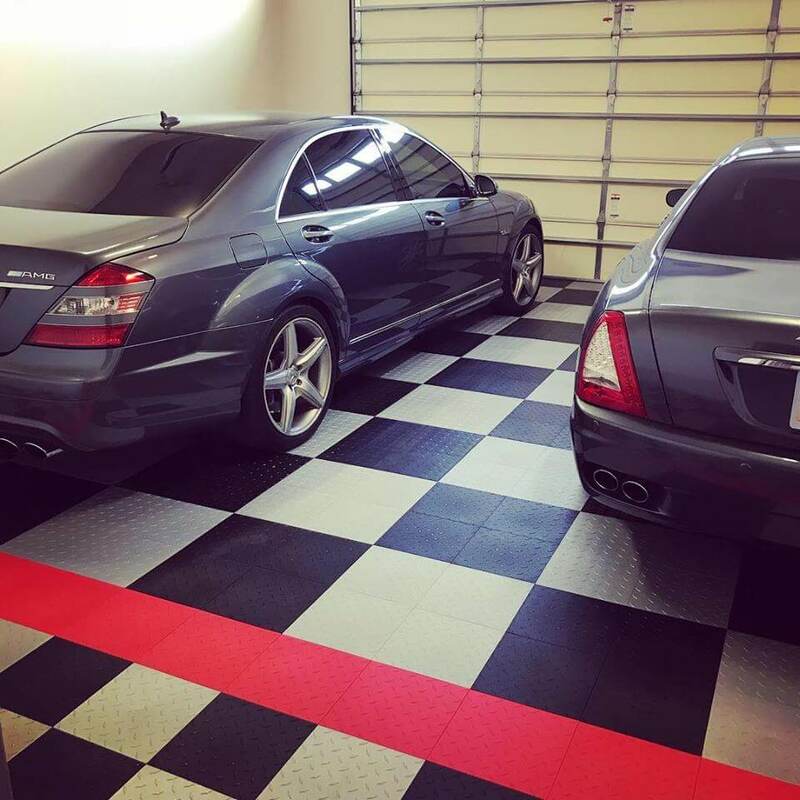 Vinyl garage flooring also has less off gassing and it is less porous than some rubber flooring materials. 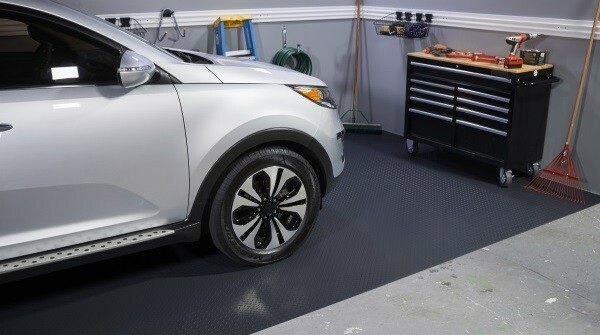 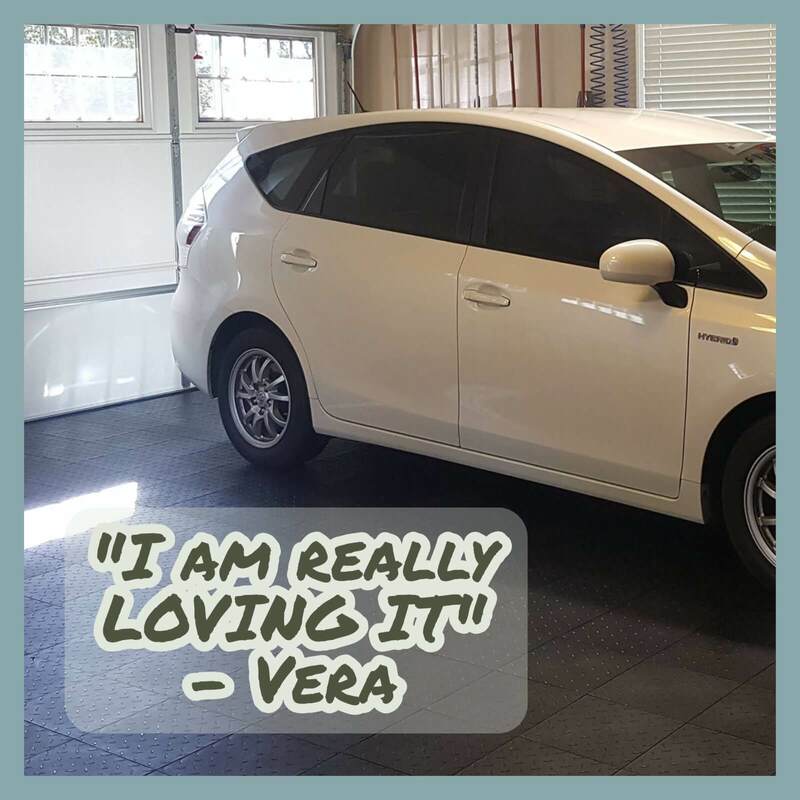 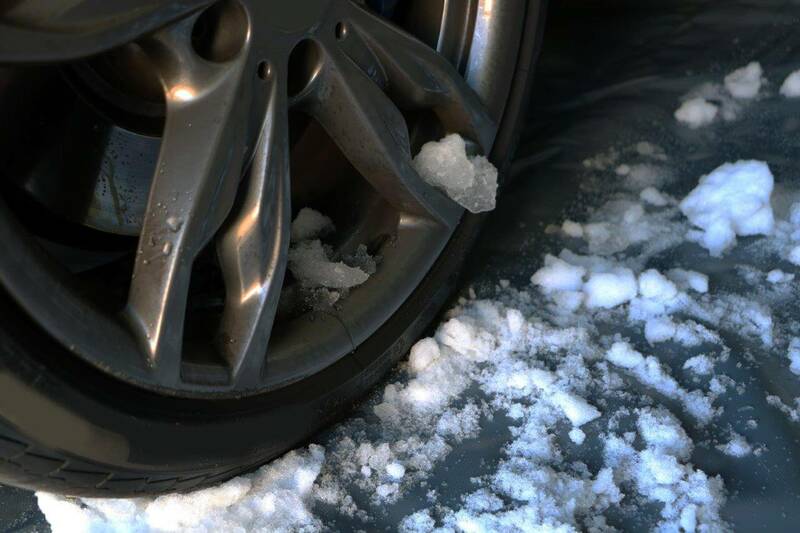 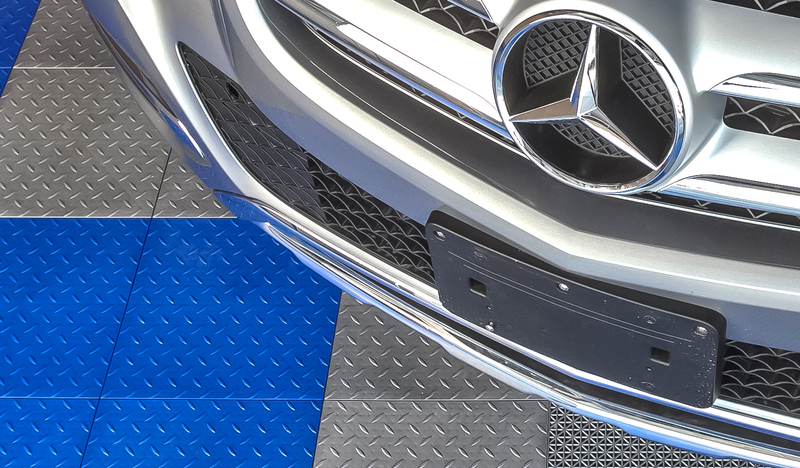 It is more resistant to tires than rubber flooring is is just generally better suited for the garage. 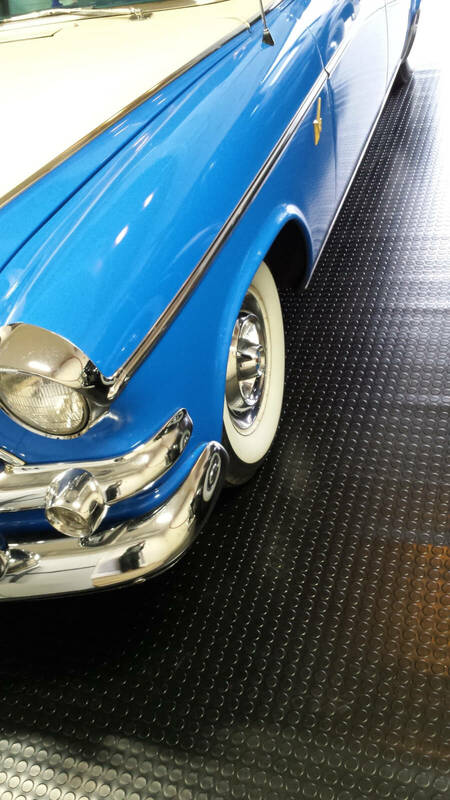 Rubber flooring provides a lot more cushion and has a much larger variety of colors. 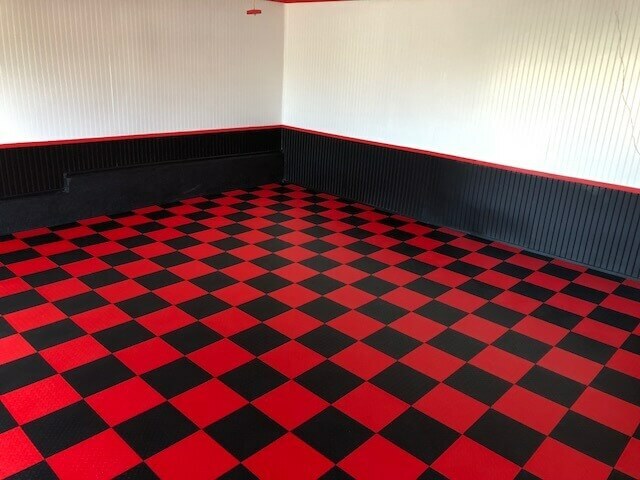 With the advent of carpet topped tiles made from soda bottles, rubber tiles are both environmentally friendly and attractive. 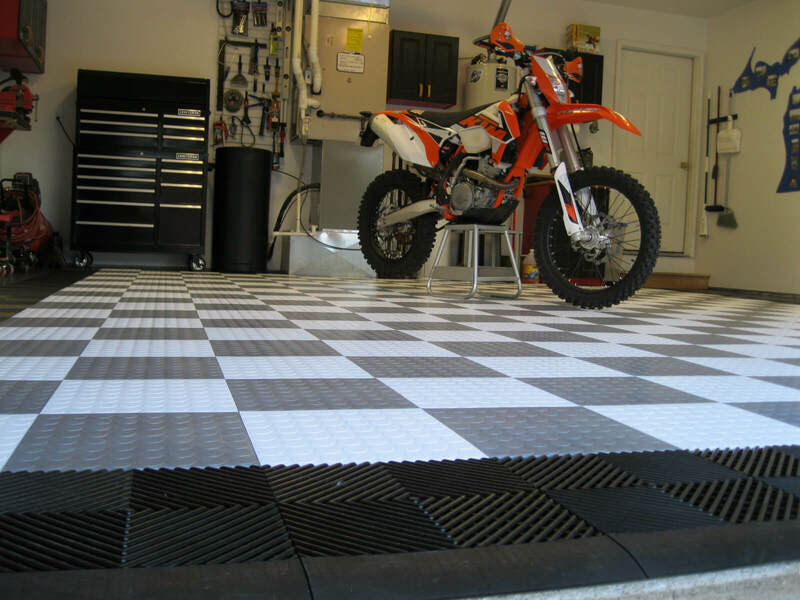 Often people are searching for rubber garage mats for anti fatigue. 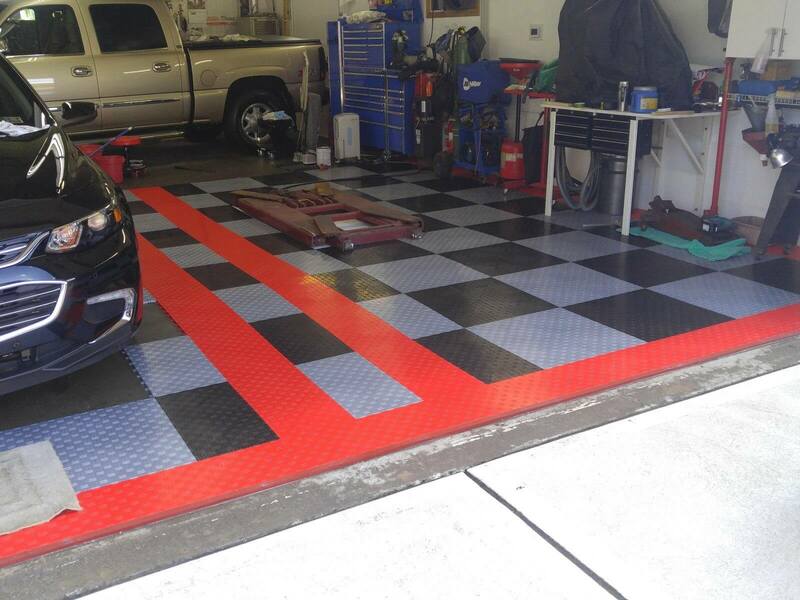 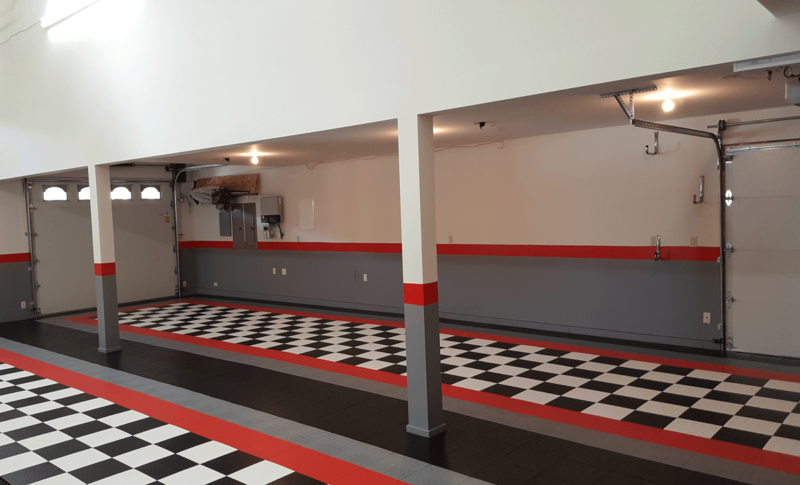 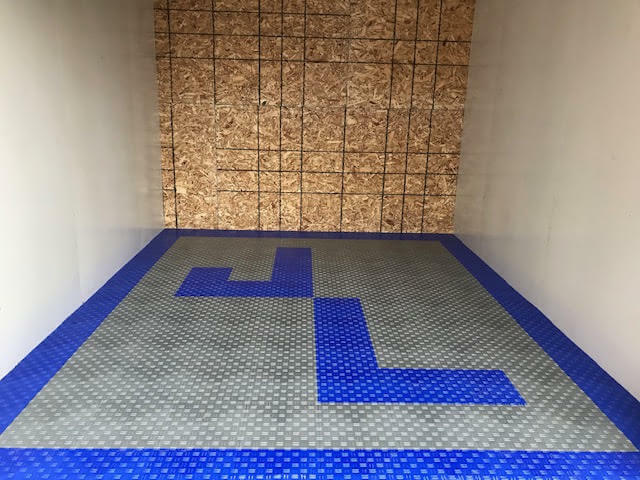 Garage Flooring LLC is a leading provider of PVC and rubber flooring products. 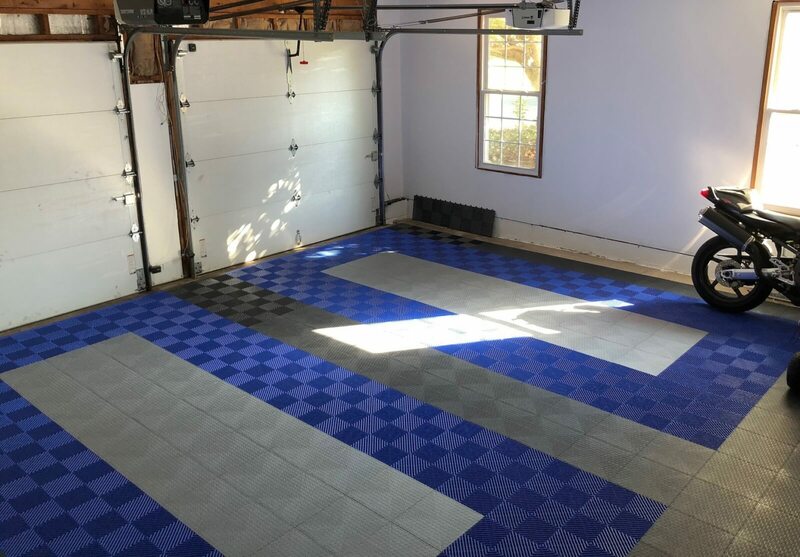 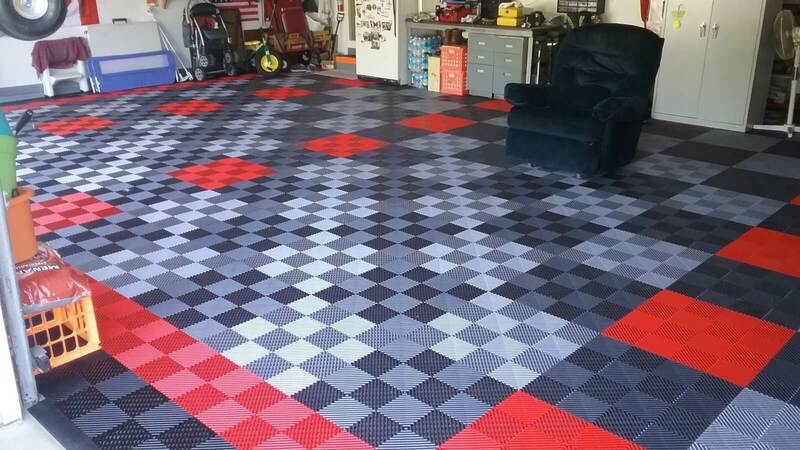 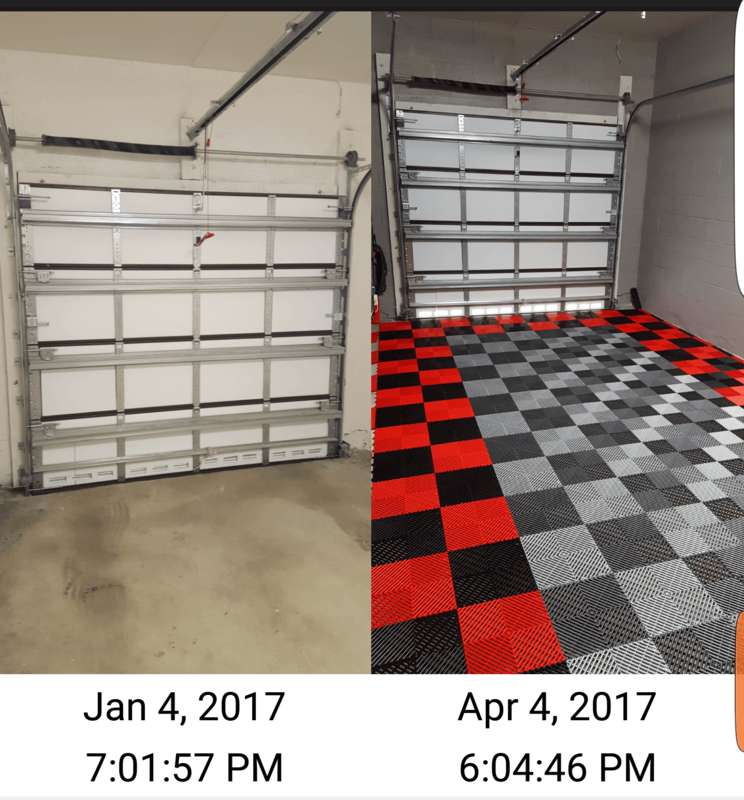 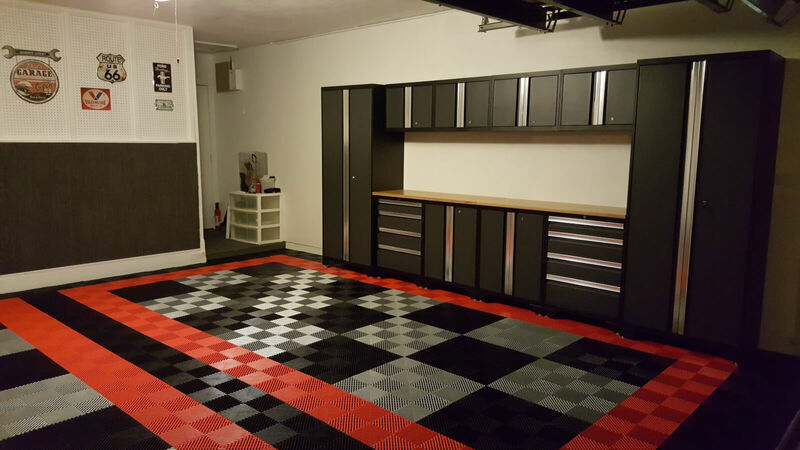 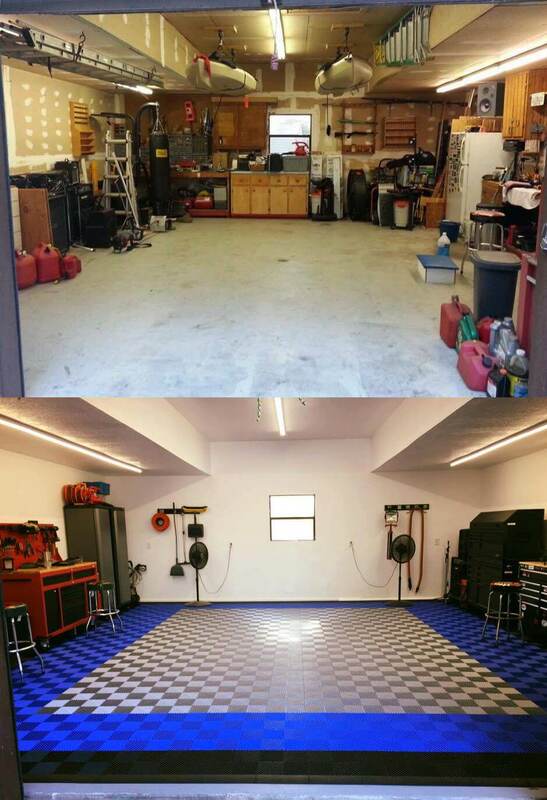 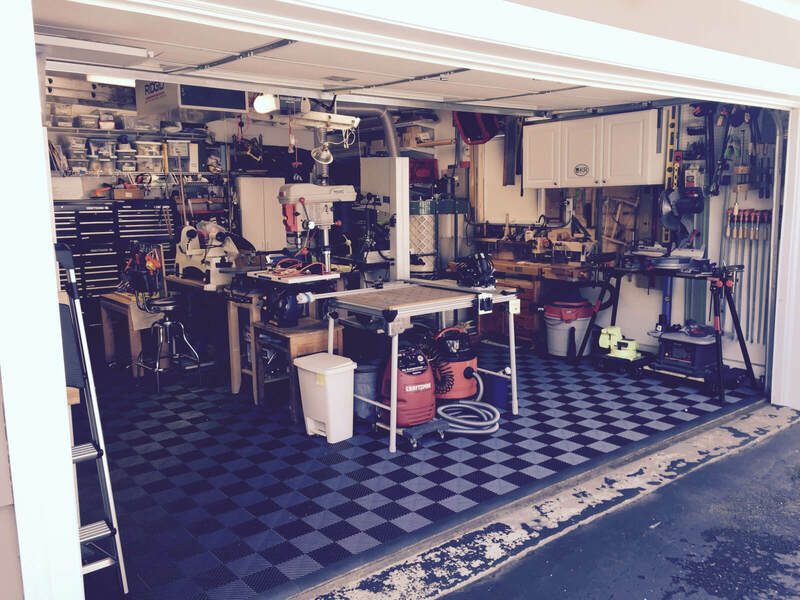 Garage Flooring LLC is located in Grand Junction, CO. 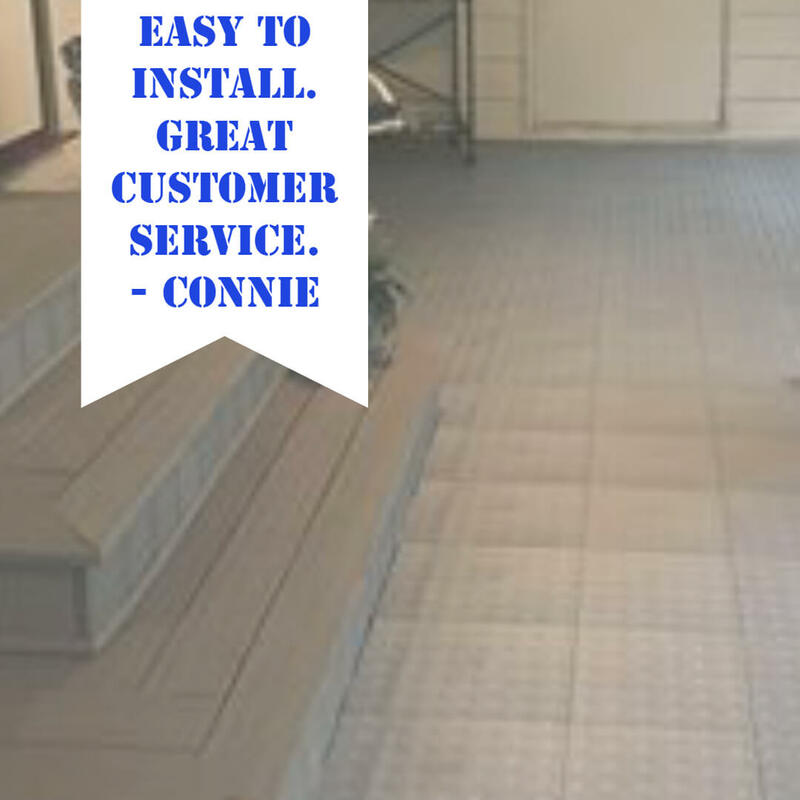 Call us toll free 800-956-4301.